This story began in the spring of 2009. Jay and Betty Norman, who live in an urban community near Dallas, Texas, observed a pair of Cooper's hawks for four months and named them "Rufous" and "Henrietta." In the leafy boughs of cypress and live oak trees, the Cooper's hawks hunted, mated, built and defended their nest, and raised their family, right in the Norman's back yard. This is the story of the hawks and the neighbors who observed them. It is now 2018. For ten years, Cooper's hawks have been our neighbors. Although times are changing for the hawks, they are back again this year in their old familiar territory. Return to HOME page of Cooper's Hawks web site. 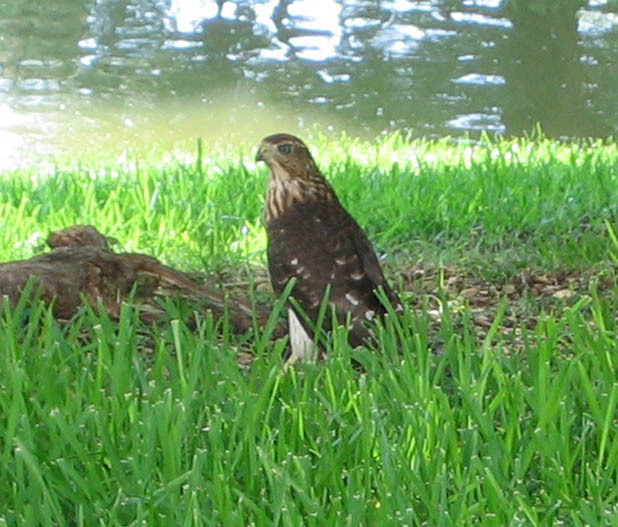 Do you have Cooper's hawks in your neighborhood? Please tell us about them in an email.